What Time Can I Leave Work the Wednesday Before Thanksgiving? Per USA Today, “It turns out that it’s a myth that the day before Thanksgiving is the busiest travel day of the year; summer weekends win that distinction.” In fact, the majority of people drive on Thanksgiving Day, leaving a much smaller group that flies or needs to leave early for longer trips. For some businesses, you can’t leave early at all. If you’re in retail, banking, health care, hospitality or other businesses that interface with consumers directly, you’re expected to work your normal shift. Usually those organizations will survey who really needs to leave early and try to accommodate their requests — often, I’ve seen the locals (i.e., those not hopping on planes) volunteer to stay until the end of the day in order to help others out — but it’s not a given that they’ll be able to get a head start to their holiday break. On the flip side, in companies that are laissez-faire about employee start times and working from home, the office may be empty by noon (or never fill up in the first place). The polite and appropriate approach is to ask your manager what’s the typical practice for your department, not just the company. Usually this is discussed in advance within the department so that coverage is assured. Unless the company is shutting down — which would be announced — a core group of employees will be in the office until end of day. So you’ll look like an idiot if you breeze in and out while your colleagues are still at their desks working away. 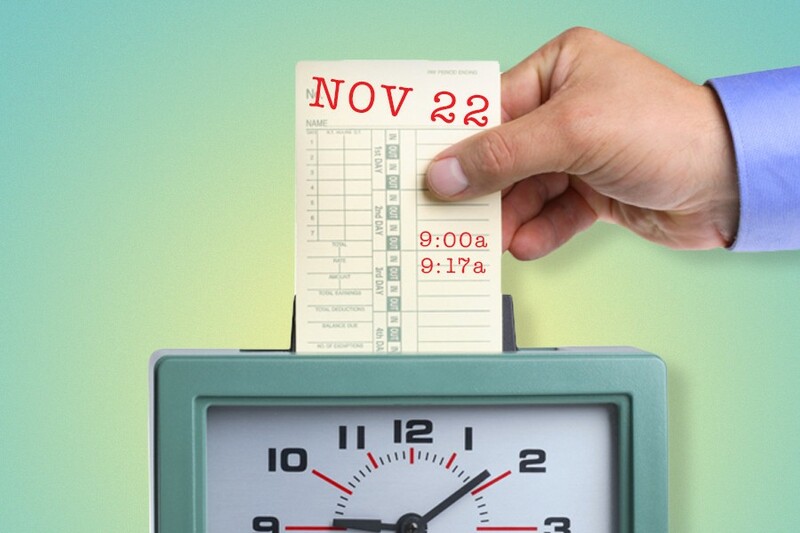 That’s already nearly one day off a month — at least on the high end — and adding another day is an unnecessary cost for most companies to incur. It would probably mean swapping out another holiday for the Wednesday before Thanksgiving, which is a wash in the end. Even if the long weekend were to become even longer or another holiday was sacrificed, I’m guessing if you surveyed employees, they’d prefer an additional day in the summer, not the Wednesday before Thanksgiving. Final comment: If you are at a company that’s generous enough to let you leave early on Wednesday, remember to thank your teammates who are staying through the workday for making your early departure possible.